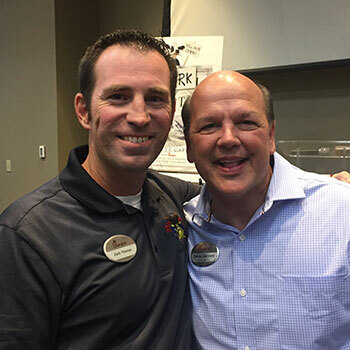 I recently attended a retirement party at the Chick-fil-A Support Center for David Salyers (Vice President and one of the original two marketing executives for the chain), who I consider a friend. Over his 37-year career, David played a key role in the growth of Chick-fil-A, from a small restaurant chain in the Southeast to one of the country’s most recognizable brands. In 2007, prior to becoming a Chick-fil-A Operator, I had just started a new role as the operations officer for a non-profit organization. My very first day on the job, my boss and friend, Andy Christiansen, told me to meet him at 5200 Buffington Road. I didn’t know until I arrived that this was the headquarters for one of America’s most successful companies! A few months later, I was selected to be a Chick-fil-A Operator. There were 25,000 applicants in that year (compared to 47,000 applicants in 2017). Many people wanted to be Operators, and had it not been for David Salyers, my application may still be lost. There were two key things that happened in this moment. 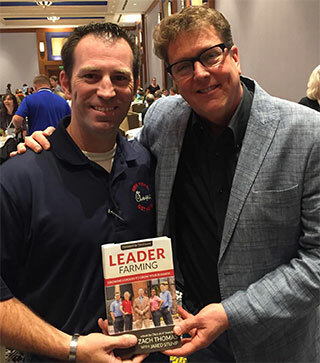 First, I took the risk of reaching out to one of Chick-fil-A’s corporate Vice Presidents. I don’t know if you remember me, but I clicked your slides. He could have easily dismissed me, but he didn’t. Instead, he went the Second Mile and stepped in at a crucial moment. Though he would never take the credit, he was responsible for totally changing the course of my life—and the life of my family—for the better. There are people all around us who step in at crucial moments to make a difference. Throughout your life, you will likely be this person for someone, and someone will be this person for you. How would your life change if you showed up at work each morning, not just to earn a paycheck or accomplish a few tasks, but with an intentional awareness of the moments around you when you can step in and make a difference in the lives of others?